March 2009: 7th Driest out of past 123 years. 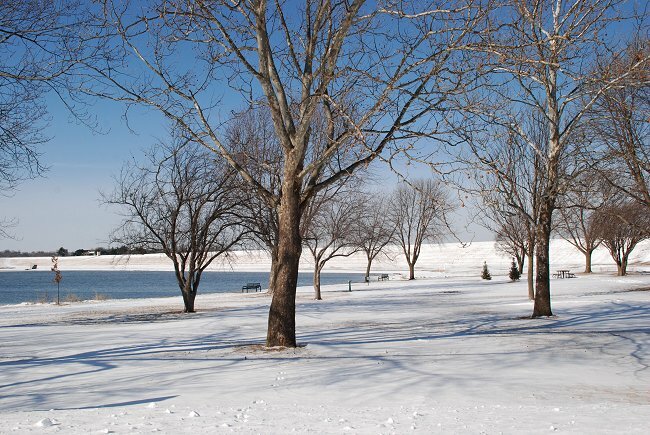 March 2009: No measureable snowfall. Only 14 of the past 110 years has March had no snowfall. 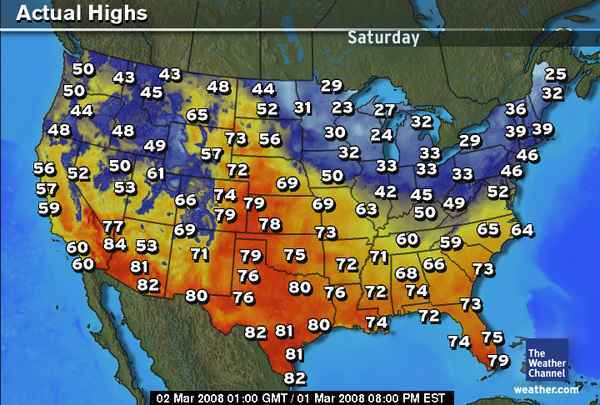 Winter 2008-2009 Climate Summary, High Plains and the U.S.
March 1, 2009: The High for the day, tied the coldest ever high for the date of 16 F (set in 1890 and 1962). 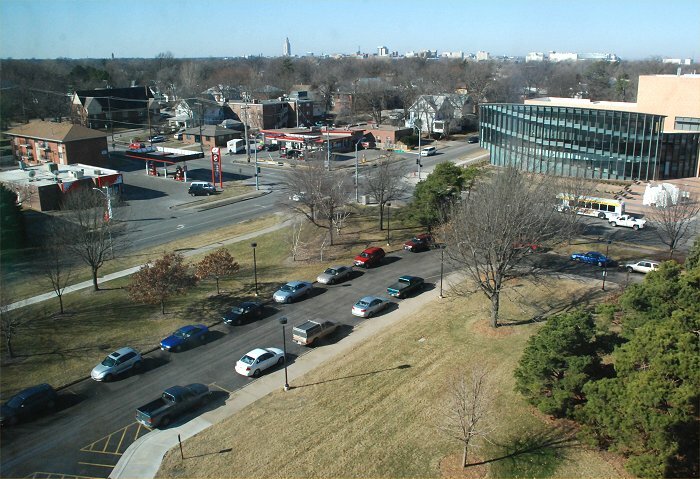 March 5, 2009: New Record High temperature of 76 F. Old record was 74 F set in 1910. Warmest recorded MARCH temperature, 91 F, March 25, 1972. Coldest recorded MARCH temperature, -19 F, Mar. 4, 1978 and Mar. 11, 1907. Most MARCH Snowfall: 21.3 inches, 1912. Least MARCH Snowfall: none measurable, 14 of the last 110 years. AVERAGE AND TOTAL are MARCH 2009. DEPARTURE is MARCH 2009 Average measured against 1971-2000 normals, in deg. 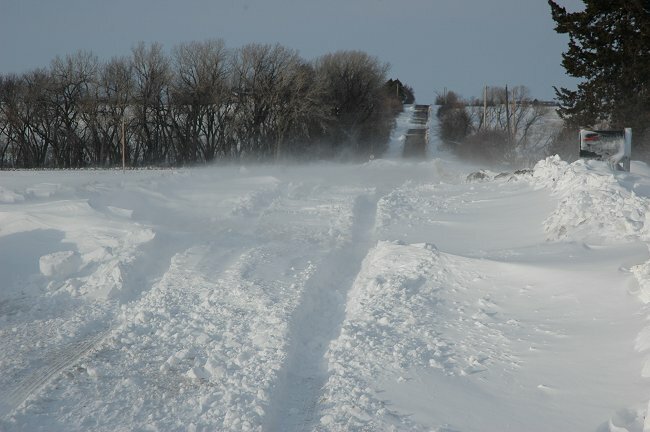 F.
Two years ago: A rural Lancaster County road following the March 1, 2007 Storm. March 1, 2007: Snowstorm and Blizzard in Eastern Nebraska. 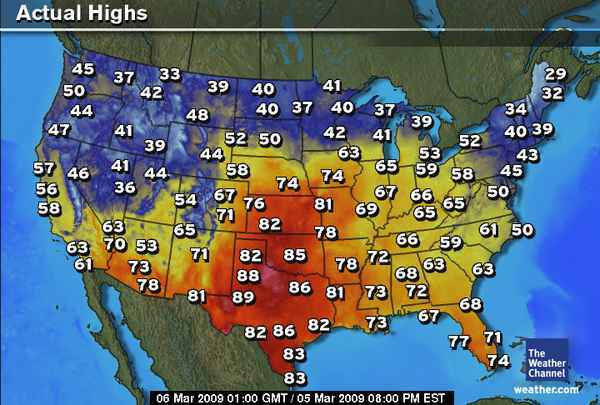 March 1, 2008 High Temperatures.